Worried by the growing maternal mortality rate in Nigeria, a medical doctor, Habeeb Salami of Pathfinder International has advocated investment in family planning, saying it will reduce the rate of women’s death by 30 per cent. Dr. Salami said, 576 Nigerian women dies out of per 100,000 women’s death due to pregnancy and child birth issues yearly, even as he noted that “pregnancy and child birth are natural process that should not take any life. “That is why family planning is important. It gives the woman time to rest properly from child birth before the next pregnancy,” he stressed. Dr. Salami also noted that family planning will save the lives of 111 women who die daily following pregnancy and child-birth related issues. Salami who was addressing journalists in Lagos at a media stakeholders engagement meeting, said that the alarming figure of 111 women dying daily from pregnancy related issues can be blamed on five major causes of maternal mortality. This includes; hemorrhage, hypertension, infection, abortion complications and obstructed labour. The family planning and reproductive expert further urged women to embrace family planning so as to stay alive. He further expressed fears over Nigeria’s readiness to meet to meet the target of 27 percent of Modern Contraceptive Prevalent Rate, (MCPR) by 2020. Dr. Salami reasoned that the Federal government will have to work with the state and local government to secure complimentary budgets for family planning and reproductive health service delivery as well as meet the MCPR by 2020. According to him, the partnership which the Federal government can adopt to improve the lives of women of reproductive age would involve private sector, civil society, traditional and religious institutions as well as development partners. He therefore, urged the media to influence and make political policy, legal and community environments more suitable for family planning. Dr. Salami, Assistant Director for Reproductive Health & Family Planning at the Pathfinder International, described the current CPR in the country as very low, bemoaning that this has been increasing unintended pregnancies, often resulting in unsafe abortions. The Federal Government has intensified the campaign to increase uptake of FP with the formulation of the new policy to increase the CPR to 36 per cent by 2030. Dr. Salami who is a medical doctor with a specialisation in obstetrics and gynaecology, blamed many state governments for stock out of contraceptive commodities, adding that their lack of commitments to making FP commodities available all year round was at the centre of the problem. According to him, although, the Federal Government has paid for FP commodities, imported them and stored same at the Central Stores in Oshodi, Lagos, the failure of some state governments to transport the products to their states and point of delivery ultimately creates scarcity of same products that sometimes waste away at the Central Stores. Dr. Salami said; “Federal Government procurers all FP commodities and sends them to the Central Stores; the state governments don’t pay. “It’s so bad that when the Federal Government procures and sends them to the Central Stores in Lagos, a lot of states have difficulties in picking them up from Lagos. “The Federal Government goes the extra mile to send these products to State warehouses; yet, there are still challenges from the States to get these commodities from the State warehouses to the health facilities where they are needed. “The Federal Government has done so much that the states need to complement those efforts. 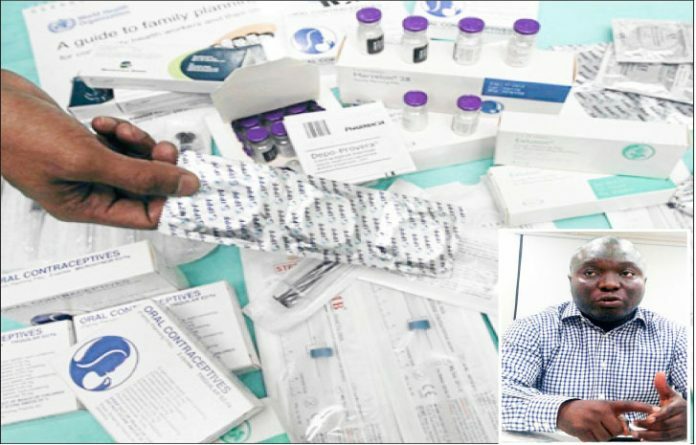 “However, the set back is that the states are not able to buy consumables including, cotton wools, gloves, all of which the providers need to deliver the services. Dr. Salami painted a picture of how citizens are denied the contraceptives which the Federal Government has provided free. He lamented that when people who need FP services arrive to access them, FP commodities are available, but consumables are lacking and they are told to pay for the consumables which may be as little as N200. However, some factors hinder these group of women from uptaking FP services , he said, stressing that it is stock out which is either occasioned by non-availability of FP commodities in facilities where they are needed and lack of consumables. Another factor hindering uptake of FP commodities is financial barrier, he added. Presently, the Lagos State Government is executing a policy that targets the achievement of 70 per cent CPR in its domain. He observed that there is need for budgets on consumables by local government councils and Primary Health Care Wards in Lagos state, adding that this will ensure that there is no out-of-stock. Giving an insight on the advocacy work carried out in Lagos State, Mr Chibuike Amaechi of Public Health Sustainable Advocacy Initiative, ( PHSAI) said that the organisations aim is to increase access to family planning services and commodities in public as well as private hospitals in the State. Amaechi urged the State government to provide family planning consumables which includes; syringe, plasta, cotton wool, methylated spirits to health centres as these are the barriers behind the uptake of family planning commodities.